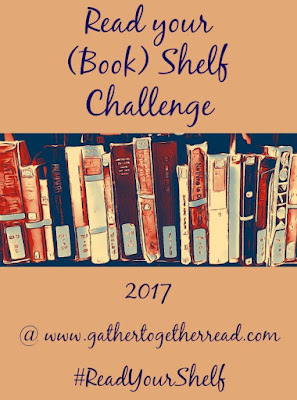 Taking the lead from the awesome book bloggers/booktubers who created the #RYBSAT (Read-your-bookshelf-a-thon), I've decided to start this new challenge starting January 1, 2017! Note: I made some changes to the rules so be sure to read through again if you've already visited this post. Go to your bookshelves. 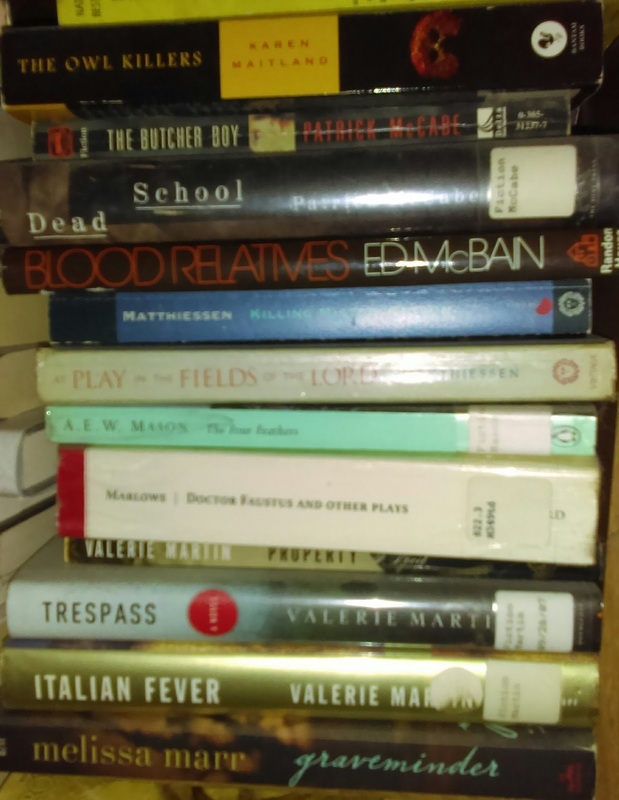 Pick out a book that you've been wanting to read on a particular shelf. Now continue down that line of books on the shelf (in order) until you have 12 books. (Here's an example image - most of my books are stacked instead of shelved traditionally because I have so many!) So, I choose Melissa Marr's Graveminder as my first choice and then I go up the stack until I have twelve total so I would end up at up at The Owl Killers). You will then read your 12 books over the next twelve months, one book each month. You can read them in order (forward or reverse), or you can plug 1 - 12 into a randomizer each month to pick your title for the month. The point is that you're not specifically choosing the book each month. It's chosen for you, either by ordered reading, or random choice. Sign up below and grab a button. I hope you will join me! Awesome challenge, I'm just not sure which "shelf" to start looking. Oh, I like the idea of grabbing 12 books off my shelf but I don't know if I could commit to reading them in order!! Is that a must? Also, what if one of the books is part of a series and you haven't read the earlier book(s) in the series (some of us don't have our shelves organized, LOL!)? Can I substitute with another book in the same series? I didn't think about that, Darlene. I'm going to make some changes to the rules so stay tuned. I guess I really didn't think it through as well as I should have. Thanks, Michelle, for updating the rules! Ok, count me in :) I like the randomizer idea. Alright, over the next few days, I am going to find a good shelf to pick from and officially sign up! There are two books in my stack that are #2 in a series, but I have the #1s of each series on audio so I'll have to listen to those first -- so I'll actually knock 14 books off my TBR if I manage to finish them all! I used the List Randomizer at Random.org and included the pic of that in my post. This is a fun idea, I'm trying hard to read from my shelves and get the Travel the World in Books (TTWIB) Reading Challenge going again. If I pick one of the books from my TTWIB shelf then I'll have one a month for this year! I've got another question. Do I have to read one a month? Can I read them faster? Gina, you can read them faster, if you like. I made the rule so people will read their 12 books in a year. If you get all 12 read faster, that's awesome! Thanks for signing up! Looking forward to it! With two small children I've been neglecting my inner bookworm, so this should help get me reading more again...and getting through my bookshelf 👍👍 Also aiming for 2017 to be a more creative one all round so hoping to be inspired too! I plan to look for another challenge to spread over the year too :-) Thanks!! I'm excited for this. It will help me get some of those books read! I'm late to the party, so I'll have to read two a month (at least) to make it by the end of the year. But why not? I can do it!